In his latest note (via ZeroHedge), Koo compares the ratings agencies to doctors making recommendations without a clue of the disease, while their patient knows precisely what they are suffering from. 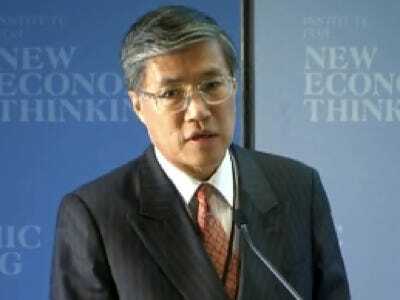 What ratings agencies don’t get, according to Koo, is that Japan, is in a balance sheet recession. While it may seem additional fiscal spending is dangerous, Koo argues that when companies and individuals are paying down debt and saving there is glut of savings in the system to buy that sovereign debt. So that downgrade of Japan was a big mistake. It assumes the country will have a funding problem. But is there one on the horizon? There’s been a lot written about how Japan is going to run out of the presumed savings glut that once existed. That’s because the demographic tide is turning against the country, and its retirees are now spending what they once saved. But even if retirees are doing that, Koo has an answer. He points to Japan’s corporate sector, which has its highest amount of cash on hand ever. That yen is potential savings that could be turned into JGBs. The problem is now that the West is in the midst of its own “balance sheet recession,” it’s completely confused and doesn’t understand that now is the time for fiscal stimulus, not austerity. Koo fears that the ratings agencies may again create a crisis like they did when they gave AAA ratings to mortgage backed securities.